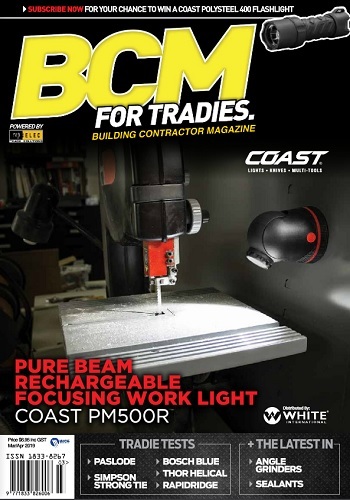 If you aren’t already familiar with Coast, they’ve been making trusted, high-quality tools for professionals for almost 100 years, so you would think they must know a thing or two when it comes to their craft. From high-quality knives, multi-tools, headlamps, torches and even emergency area lighting, Coast have an impressive range. Coast have two great new offerings in their lighting arsenal: the Coast FL75R Headlamp and the Coast Polysteel 600 Flashlight. Both of these products stood out as real performers onsite so let’s take a closer look and shed some more light on each one. This is one serious bit of gear. The bright LED gives out 530 lumens, which is excellent for a headlamp. This is also adjusted with the on/off switch that can be set to 65 lumen when the full brightness is not required because this will increase the overall runtime. This runtime is also a perfect feature when you’re sitting around the campfire with mates – you don’t want to blind anyone. You’ll get around 2 hours and 15 minutes on high setting and a massive 11 hours on low setting – perfect for onsite and weekends away. 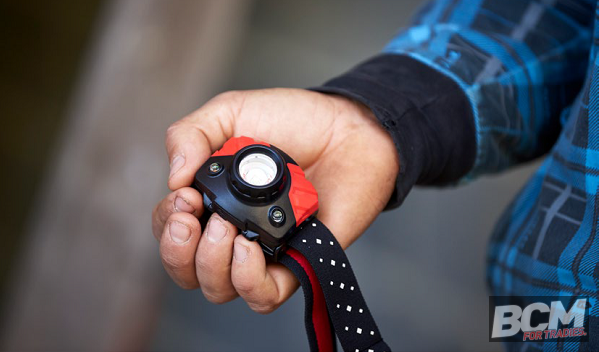 The FL75R Headlamp also features Coast’s Flex Charge Dual Power system, which allows the rechargeable battery pack to be recharged inside the headlamp or outside using the included micro USB cable. The dual power also allows the headlamp to run on a custom rechargeable lithium-ion battery pack or standard alkaline batteries. It has a massive beam distance – on high you’ll expect around 156m of beam and on low around 54m. The beam is also easily and quickly adjusted from an ultra-wide flood beam to a long reaching spot beam by simply twisting the headlamp’s bezel. This is great for searching for long distance objects and then flooding a work area when doing specific tasks. Perfect for those late-night electrical service calls! The Coast Polysteel 600 Flashlight is your ultimate work or play flashlight. Built as tough as they come, it will have no problems with the abuses of worksites or campsites because the flashlight is impact resistant, waterproof and LED. It’s ultra-tough, crush proof, drop proof and virtually unbreakable! Even with all the armour, it still possesses Coast’s Pure Beam Optics System, which with a twist of the head turns it from a wider flood beam to a narrow spot beam that will get you a distance up to 247m on high output with a massive 710 lumen and 78m on the low output with 73 lumens. Regarding runtime you can expect 2 hours and 15 minutes on high output and a massive 40 hours on low output. Batteries are a smooth changeover – 4 x AA is all you will need. Hopefully I have shed a bit more light on the Coast FL75R Headlamp and Polysteel 600 Flashlight. They are both high-quality bits of gear for the professional tradesman or for serious weekend playtime in the great outdoors. I will be grabbing a set of each for the guy’s vans very soon. I know I will be checking out the rest of their range because if these two products are anything to go by I can see big things ahead for Coast.